A television show that features songwriters and their original songs. Why a TV show called The Song? What type of songwriters do we want on the show? The Song's producer, Mary Wheelan, had in the back of her mind to someday produce a show that featured songwriters and their original songs since she first saw The Voice. When the station manager said he needed more shows she suggested such a show and the rest is history. Since then songwriters from Massachusetts, other states and even other countries have been on the show. There have been more than 100 epsiodes since April of 2012. The Song airs on Frontier community Access Television in South Deerfield, MA but has also aired on many other stations as well as being online at www.fcat.tv . The Song is produced with the help of station staff and volunteers. The producer makes no money but does incur expenses including transportation costs. And songwriters who appear on the show are also not paid. There may be some great songwriters out there who may not be able to afford to get to us. With that in mind we encourage people to donate money to Frontier Community Access Television and designate that it be used to defray costs for the production of The Song and to assist featured songwriters with costs as well. Donations can be sent to FCAT, 8-B Elm Street, South Deerfield, MA 01373. You can help make The Song become the Democracy Now of the music business in which a few major corporations control pretty much everything. With your help more songwriters will have an opportunity to get their songs heard in an interesting and entertaining format of music and conversation. Thank you for your support and interest in The Song. No matter what genre, no matter your age, no matter where you are from or what you look like as long as you can write good songs we want to hear from you. Even if you consider yourself a non-performing songwriter you can arrange to have someone else sing your songs. The ages of songwriters on the show have ranged from teens to folks in their seventies. Some have made their livings in the music business. Others have day jobs. All are talented. There are many ways to be a songwriter. You do not need to be a grammy winner or write a hit song to be sucessful. If you live a fulfilling life as a songwriter no matter what form that takes then you are a success and, therefore, you may be perfect for the show. Submit a link where some of your original songs can be heard and you may get to be on the show. if you do not have songs online then you can mail a CD to FCAT, 8-B Elm St. South Deerfield, MA 01373. Generally songwriters have time for 4 or 5 songs depending on length of the songs. And, then they get to spend some time talking about themselves and their music. We want viewers to get to know you and your songs and your unique contributions to the world of music. 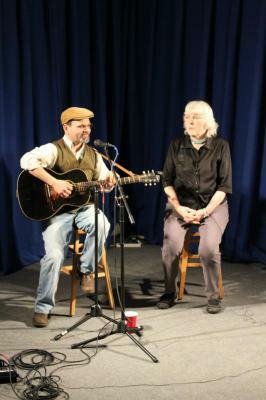 Some songwriters use their skills to raise money for worthy causes like Bill and Kay Pere who raise money in Connecticut to fight hunger. Some folks like John Fuzek have helped other songwriters develop their talents. Jeff Batson, a Nashville based songwriter, won a grammy for best gospel song. Michael Behm has had numerous placements of his songs in movies. Joanne Grumet began writing songs at 64 years of age. 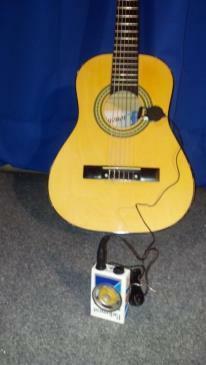 They and all the other songwriters who have been on the show have made their own unique contributions to the world with their songs.